Located on the top floor of the Archbishop Iakovos Library at Holy Cross Greek Orthodox School of Theology, this permanent exhibition displays the personal effects, vestments, and collection of His Eminence Archbishop Iakovos that reflect the 37 years (1959-1996) of his leadership of the Greek Orthodox Archdiocese of North and South America. The collection also includes a number of Greek, Roman, and Byzantine era objects, including coins, reliquaries, and cross pendants. 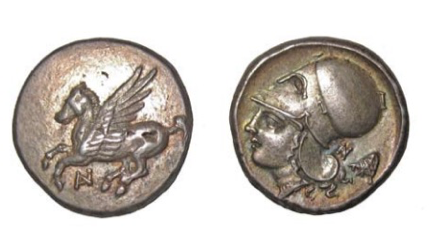 For example, this silver Greek Stater coin dates from the 4th Century BCE, and depicts Pegasus and Athena. 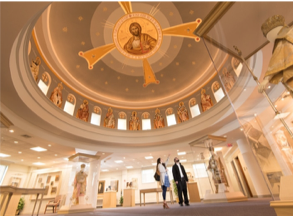 Born in 1911 on the Greek island of Imvros, Archbishop Iakovos began his career as the Dean of the Annunciation Cathedral in Boston in the 1940s. He is remembered for his commitment to interfaith dialogue, and often invited Jewish and Christian clergy to speak at his congregation. Having seen persecution firsthand in the Greek-Turkish conflict of his childhood, Archbishop Iakovos was also committed to the American Civil Rights movement, and marched in Selma alongside Dr. Martin Luther King, Jr. and other faith and Civil Rights leaders in 1965. 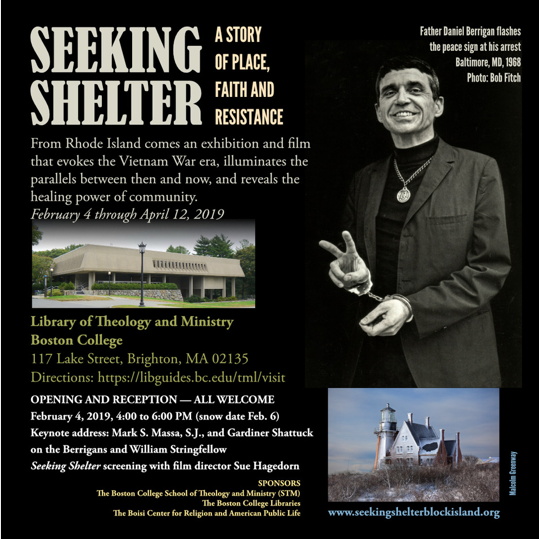 Now on view at the Boston College Theology and Ministry Library is the exhibit and film, Seeking Shelter: A Story of Place, Faith and Resistance. This multi-media exhibition tells the story of faith-based activists Fr. Daniel Berrigan, SJ, and theologian and civil rights lawyer William Stringfellow. This exhibition will be up through April 12, 2019. 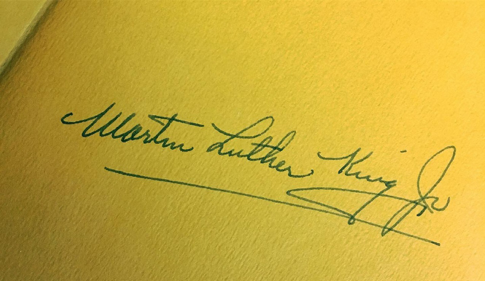 Stride Toward Freedom, King’s memoir of the Montgomery Bus Boycott, was published in 1958. He describes the racial, social, economic, and political setting in Montgomery that led to the boycott. He also details his theology and philosophy of nonviolent resistance. 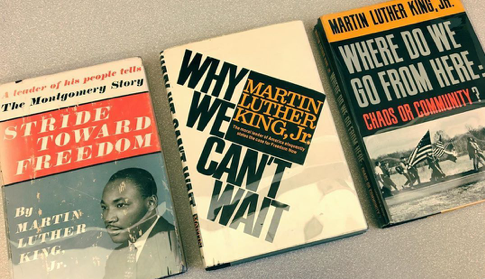 When it was released in 1958, critics lauded Stride Toward Freedom as a “must-read,” and its message is still urgent today. In Why We Can’t Wait, King’s third published book, he describes African-American activism in 1963, including the March on Washington. When it was published in 1964, New York Governor Nelson Rockefeller wrote that it was an “incisive, eloquent book” addressing the history and future of the Civil Rights Movement. The Koren Talmud Bavli is an extraordinary resource available at both the Hebrew College Gann Library and the Andover-Harvard Theological Library. 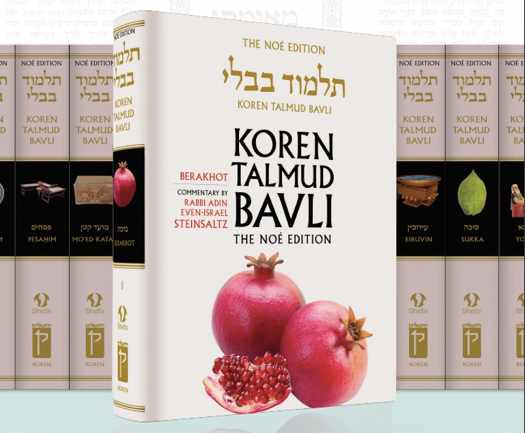 With its subtitle, “Talmud isn’t just black & white,” the new Koren Talmud Bavli is a unique resource. For Hebrew Bible or Jewish Studies students, or anyone who has wondered what the Talmud is, this epic multi-volume set lays out the complete text with an entirely new feel. The Babylonian (Bavli) Talmud is the central source text of rabbinic Jewish teachings and theology. It consists of two core parts: the Mishnah (the Oral Torah, written in Hebrew, codified 200 CE) and the Gemara (Commentary on the Mishnah, written in Aramaic, codified in Mesopotamia by 500 CE). Each passage of Mishnah and Gemara is surrounded with commentary that has been added and refined as scholars interpret the core text, discussing and debating one another across the centuries. This new edition, published by Koren press in Jerusalem, pairs the original text with illustrations, new translations, and modern and ancient commentary. New translations of the Talmud are rare, because of the volume of text involved—when complete, the Koren Talmud will comprise 42 volumes, and so far, 38 have been published. Because of its size alone, the Koren Talmud would be a major milestone; it is even more so for what it represents. For the first time, women translators and consultants worked on what has historically been an exclusively male textual tradition. The Koren Talmud won the National Jewish Book Award when it was released in 2013. For a sneak peak, the Koren Talmud even has its own video teasers. The Massachusetts Bible Society Collection at the BUSTh Library contains over 4,000 items, including Bibles and tracts from a wide range of cultures and languages. 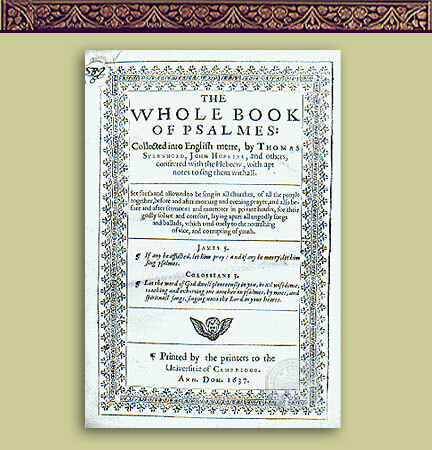 Our spotlight is on The Whole Book of Psalmes: Collected into English Metre, published in England in 1637. It includes Psalm translations by Thomas Sternhold, John Hopkins, and the 1560 Geneva Bible.